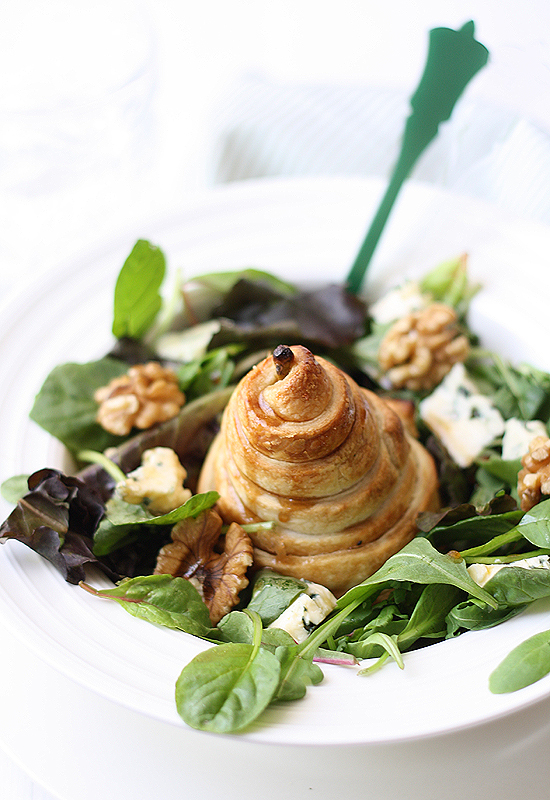 Since it's the last day of May and National Salad month, I must share this Pear, Blue Cheese & Walnut Salad from La Receta De La Felicidad blog. I'm a HUGE fan of phyllo pastry sheets and also love presentation in a dish. The phyllo wrapped pear looks like a present sitting on the salad. And, who doesn't love presents? I also love that this recipe is surprisingly easy and quick to make, contrary to it's appearance. I'll be making this next week when I'm visiting my family in Missouri. Please send me a picture of your version! Click here to view recipe.